I am sorry for not having my Link Up for Pink DT member card posted on time, but unfortunately I had a bad back and shoulder ache. Yes, my daughter and I decided to move our Scraproom from the second floor to downstairs and after hauling 38 cubes plus all the scraping goodies and being uh..... 72?, you would think I would have learned by now that I need to limit somewhat what I do. Yeah, right.... LOL Anyway, I am doing better after quite a few Chiro visits and I am sure in a few more weeks I will be as good as new... well, as good as second hand at my age. :) So with all that being said, here is my card wishing each and everyone Best Wishes for a Happy New Year. I hope and pray this will be the year a cure is found. Here is my creation and I hope you enjoy. All of the paper used is from a paper pack I purchased at Michael's a good while back, an 8x8 pack named Mambi for Breast Cancer. 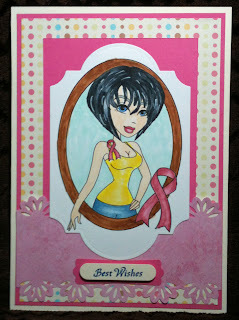 The adorable stamped image is from Sassy Studio Designs, Pink Ribbon Frame and is an awesome image for my project and all coloring is done with my Copic markers. 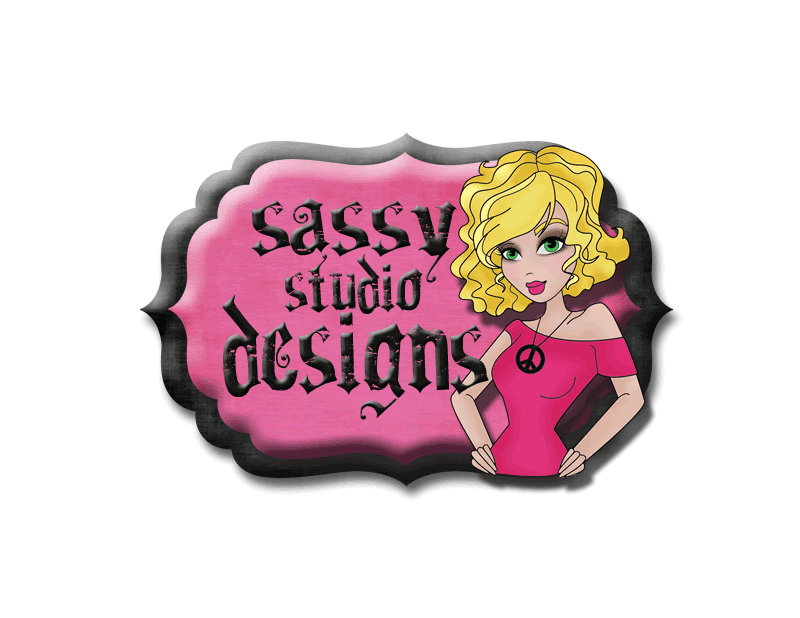 Thanks to Sassy Studio for being our sponsor for Challenge 7, you're fabulous! There is also a weekly challenge on Thursdays on this blog. Shopping Blog: Sassy Studio Designs/Buy stamps here! Every Friday a new digi is given as a freebie for 24 hours, new challenge every two weeks. This challenge ends on January 10th, so you still have some days to get your entry in to win free digis from Sassy Studio Designs. 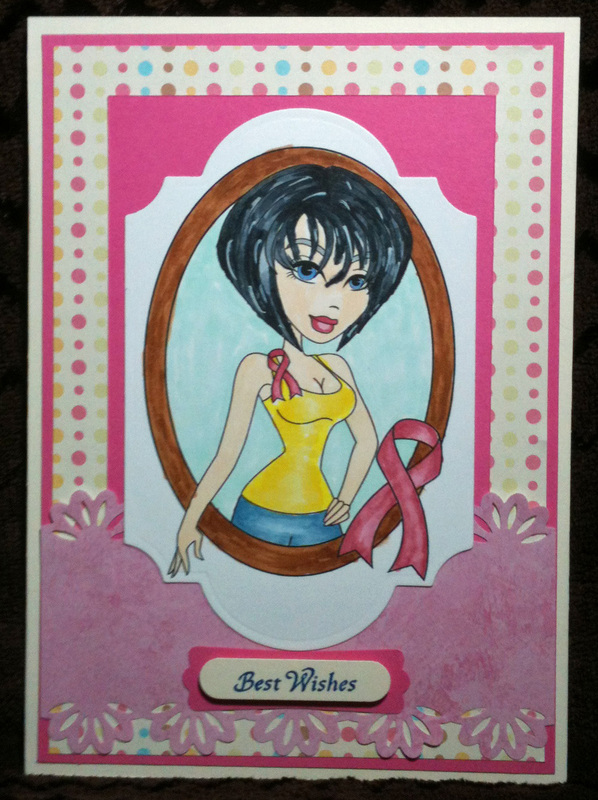 So start Scrappin' to make it Happen"
The pink ribbon frame is perfect for this image and the cancer awareness theme of your card! Thanks for this article and video. I have been looking under every darn rock on the internet for 3 days trying to find exactly what you shared. It's time for Challenge #9 !! !